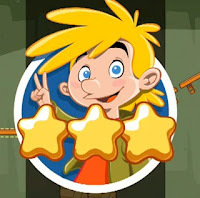 Amazing Alex is a new physics based puzzle game for the iphone and ipad from Rovio. In this game, your objective is to accomplish tasks that will require physics elements in each level. For example, getting the ball from point A to point B by making a path using given objects or tools. There are 35 fully interactive objects and 100 challenging levels across four different locations including classroom, backyard and bedroom. This app also enables players to share their own level design with the whole world.